Update: I spoke by phone yesterday with a prospect about giving a marketing presentation to her sales force. Prior to calling her, I mailed her a thank-you note. Near the start of our conversation, she said, "I've got your thank-you card here on my desk!" Ice broken. Smiles. Smooth sailing. And we set a date in May for me to speak to her group. 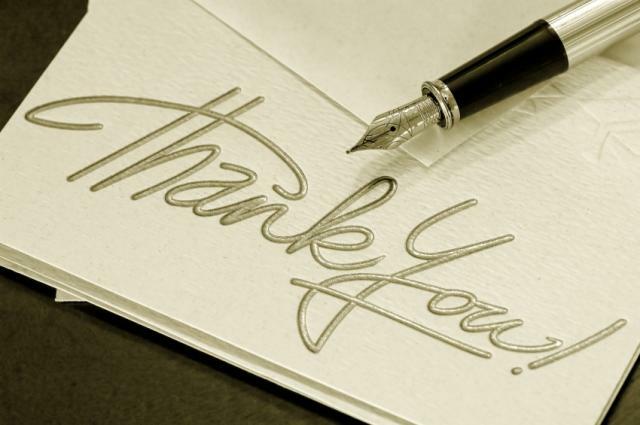 Can an email "thank you" do that? Wow! Sounds like an excellent idea!